Property in Humansdorp is very affordable in comparison to many of the surrounding areas real estate markets such as St Francis Bay and Jeffreys Bay where market prices are driven by second and holiday homes purchasers. Humansdorp properties are mainly older family homes but with the area now being seen as a possible solution to the anticipated future demand for accommodation for the Thyspunt nuclear power station (situated between Cape St Francis and Oyster Bay) workforce there are signs of new Humansdorp property developments being brought to the table. Currently houses in Humansdorp range in price from between R500 and R750 000 and offer excellent value for money. According to the most recent figures (courtesy FNB Humansdorp Property Barometer) property in Humansdorp is predominantly full title with sectional title Humansdorp properties (townhouses, flats, apartments etc) only making up less than 5% of the market. The same source reflects that in 2012 – 2013 prices on full title houses in Humansdorp averaged out around R730 000. The same time frame also shows that unit sales of Humansdorp houses have picked up very nicely. If you are interested in finding out a little more about real estate in Humansdorp or the surrounding areas (St Francis Bay, Oyster Bay, Jeffreys Bay), give us a call on +27 42 295 1627. Our local Harcourts Oyster Humansdorp estate agents really understand the local real estate conditions and are there to provide you with detailed information on the current state of the Humansdorp property market and have a superb selection of houses for sale in Humansdorp for you to view. Eastern Cape Property in St Francis and Jeffreys Bay. If the likes of property in St Francis or holiday homes in Jeffrey's Bay are more to your taste, our offices in Da Gama Road in Jeffreys Bay (+27 42 293 2053) or at 319 St Francis Drive in St Francis Bay (+27 42 294 0336) can also provide you with information on their portfolio of rentals and properties for sale in St Francis Bay and Jeffreys Bay. As a local in the Humansdorp area for 16 years, I have extensive knowledge of the local property market. I know the facts, the figures and the trends. I have been an intern at the company since December 2013 and had a very successful 1st year at Harcourts Oyster. I have been awarded rookie agent of the year 2014. I attended numerous workshops and seminars to build my portfolio as a real estate agent. You can expect to receive an honest, ethical and professional service at all times. You will receive my timely feedback and high level of communication. I will respect your privacy and keep disruptions to an absolute minimum. I'm your energetic rental agent. I joined Harcourts May 2014. I specialize in rentals in the Humansdorp and surrounding areas. I love working with and meeting new people. I enjoy ever aspect of rentals. 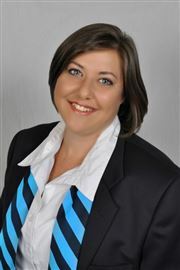 I have a passion for my work and you can count on me for regular feedback and keeping landlords and tenants up to date. We at Harcourts have the latest technology, so I can provide the best exposure for your home to get it rented out in the shortest possible time. Should you have any queries please don't hesitate to contact me. I have been an office administrator in Real Estate for the past 12 years. Joined current company in 2012. I enjoy working at Harcourts as we have a great support system and the best technology in the real estate business. Our Humansdorp team work towards excellence. I take pride in what I do and I strive to be the best I can be in my work. Three For The Price Of One! !